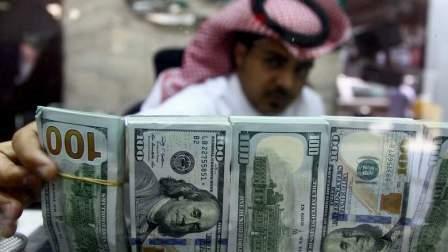 The Saudi Arabian central bank's foreign reserves, which the government has been liquidating to cover a budget deficit caused by low oil prices, rose in June for the first time in over a year, official data showed. The central bank's net foreign assets climbed to $493.3 billion last month from $491.7 billion in May. On a year-on-year basis, however, they shrank 12.3 per cent. They had hit a record high of $737 billion in August 2014 before starting to fall with oil prices. Analysts said it was not yet clear whether a three-year downtrend in the reserves was ending. The central bank did not explain the reason for June's rebound. But the data showed government deposits at the central bank fell last month, suggesting the reason was probably not an increase in state revenues. Monica Malik, chief economist at Abu Dhabi Commercial Bank, said the rise in net foreign assets did not necessarily mean their downtrend had ended or that the government would no longer need to draw them down. She said pressure to liquidate the reserves had eased this year compared with last year, and Riyadh's decision to begin raising money with local currency Islamic bond issues this month could ease the pressure further. Nevertheless, Riyadh is still running a budget deficit - officially projected at $52.8 billion this year - so it is likely to need to tap the reserves again at some point, she said. "Fluctuations in the speed of the reserve drawdown in recent months don't seem to have been due to the fundamentals of state spending and revenue. Instead they may have more to do with factors such as the transfer of money to government investment vehicles," Malik said.